Whether you need transportation to the wedding ceremony, the hotel, or to the airport for your romantic getaway, you might as well go in style in a luxurious or classic limousine. If you’re not sure how to book your wedding day transportation in Toronto, here are some wedding limo tips for some ideas. Do your research on limo companies first for an idea of what they offer. For the Toronto area, Majestic Limo Services is a great place to start. You need to take a look at a company’s fleet to find out what kind of vehicles they offer. Look at pictures of the various town cars, Hummers, party buses, vintage cars, Lincoln Navigators, etc. Do they look nice, sleek, and clean? Also, are there reviews and testimonials available from previous customers? Consider your budget and the type of package you require. You don’t want to limit yourself just to save a bit of money. It’s your big day – just go all out and splurge. However, if you really are on a tight budget, ask the company you’re interested in about their package deals and if they are offering any type of discounts. If you need more than one vehicle for your guests, compare the price of multiple limo rentals with one party bus rental. A party bus can be as luxurious as you want it to be. Find out what kind of amenities are included in the price. What kind of drinks do you want in your limo bar? What kind of lighting and decorations? All limos, including the vintage models, typically come loaded with modern amenities, ranging from a satellite tracking program to colour TVs. If you don’t want alcohol, you can ask ahead of time that your bar be stocked with water, tea, soft drinks, or any other beverage of your choice. Safety should be your top concern. Never book a limo if you do not know anything about the company or its fleet. You should receive a guarantee that the vehicles are well-maintained, clean, and up to date with the latest safety features. 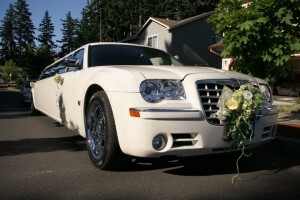 The chauffeurs should have a lot of experience with wedding services. Also, the company should have valid certification. Since limos come in all different sizes, it’s best to go with one that is bigger than what you think you will need. Don’t try to crowd too many people into one car or bus. Talk directly with the company. Since every wedding is unique and special, an ideal company will offer you a custom solution. However, don’t just spend a minute browsing their website and then filling out the booking form. Call the company and ask to speak to a representative who has experience dealing with wedding packages and services. Tell them about your needs and ask if they can help you. Good communication is extremely important. If they make any promises and guarantees, have it put in writing. Hopefully, these wedding limo tips will give you an idea of what to expect with wedding transportation services, such as Majestic Limo. Since Toronto is such a busy city, you will want to book your limo as soon as possible.